Just as it’s essential to take your child to the paediatrician for regular checks and physicals, it’s likewise important to take your child to see the dentist, starting from when they begin to get their first teeth. By familiarising your child with the dentist from a young age, they can know what to expect with routine dental care. By seeing your child from an early age, at Woonona Dental we’re able to familiarise them with the dental care environment and help them feel at ease when it’s time for a checkup. Plus, we can screen for potential oral health concerns, so that they can be addressed at an earlier and more affordable stage. Your child’s dental health is paramount to us. We want them to have teeth to last a lifetime. You can be assured that we will do whatever we can to help them attain and maintain optimal oral health. Contact Woonona Dental today! 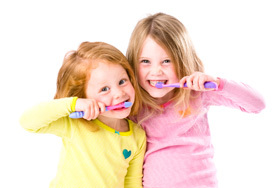 Your child may have access to benefits for basic dental services (capped over 2 years). Includes check-ups, X-rays, cleaning, fissure sealing, fillings, root canals and extractions. You or your child are getting Family Tax Benefit Part A or certain other government payments. Contact Woonona Dental to schedule your appointment or for further information! Our staff can check if you are eligible to the CDBS schedule.